Google recently launched the successors of Pixel and Pixel XL, and again they are here with many new and upgraded features. One of such magnificent features is the Pixel launcher in both Pixel 2 and Pixel 2 XL. 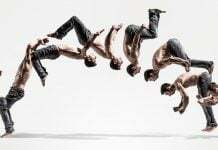 It is quite different and looks wonderful. I’m sure, just like me, you are also looking to get this launcher on your Android phone. 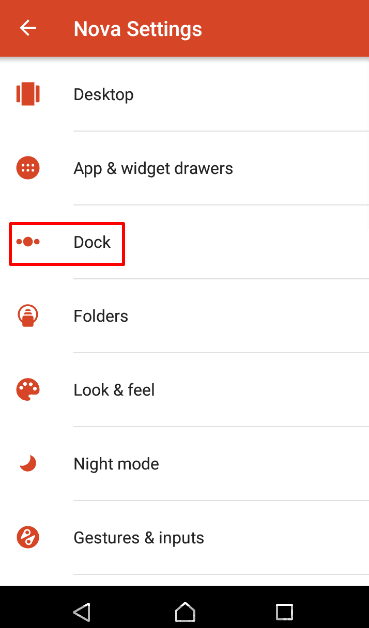 That’s why we have prepared this guide to help you get Pixel 2 Launcher on any Android device. Google came with a new set of smartphones last year, under the name Pixel. The Pixel and Pixel XL were both new smartphones and full of amazing features. Both received a pretty great response from people too. 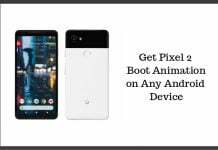 Seeing the success of Pixel devices, Google has recently launched Pixel 2 and Pixel 2 XL. These both are equally amazing as their predecessors. Pixel devices have wonderful user interface experience, and to add to it, Google’s Pixel Launcher is better than before. But, just like the last year’s Pixel devices, the second edition of Pixel smartphones are pretty costly as well. These are premium products and it is not possible for everyone to buy such a costly device. This is why we have decided to bring the Pixel launcher to our own Android devices. Just follow the steps and you will have Pixel like launcher on your smartphone. Many applications are developed and uploaded every day on Play Store for the general public to download and use them. 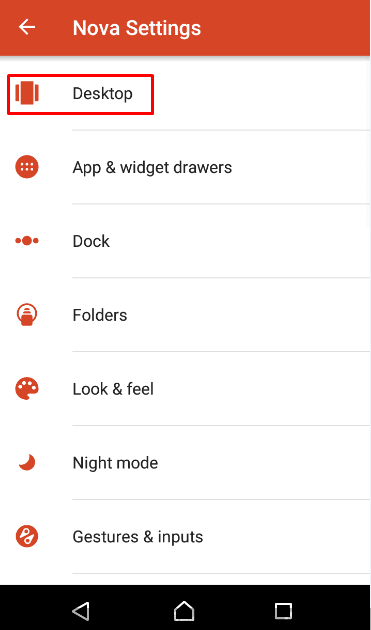 There are already some apps present on Play Store who offer the Pixel Launcher functionality. 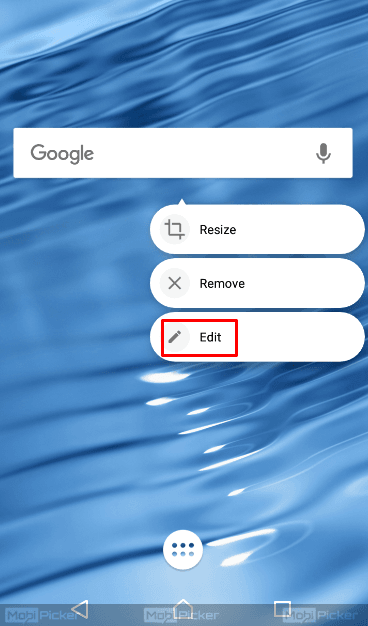 To make this job a little easier for you, we have found the best app using which you can get Pixel 2 launcher on any Android device. 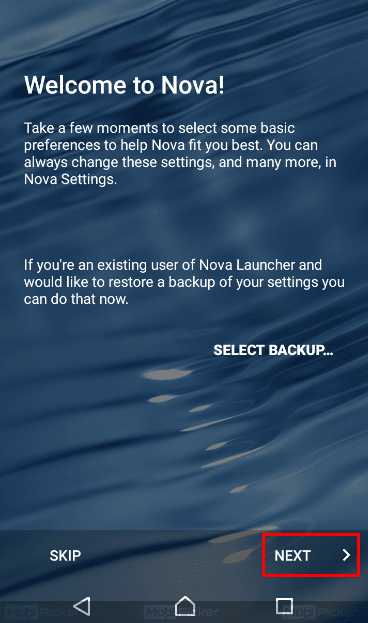 The Nova Launcher application has been around for many years. I remember using it for the first time on one of my Nokia devices, back in 2012. And currently, Nova Launcher has become one of the most used and best Android Launchers of all time. 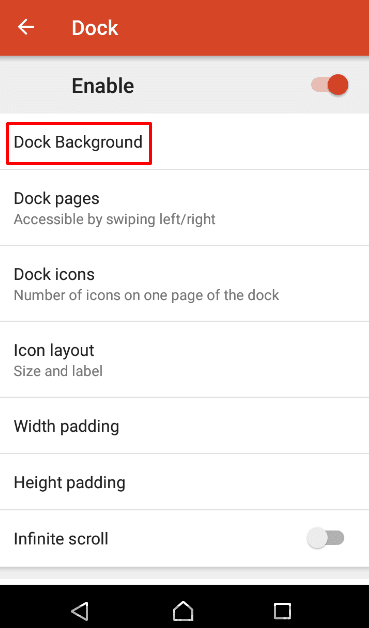 To get Pixel 2 Launcher feature on any Android Device, follow these steps. Step 1. 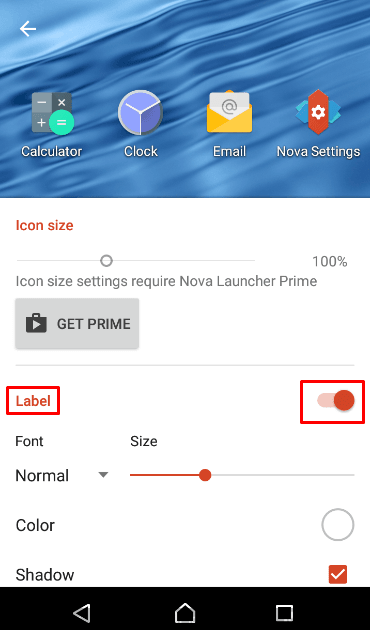 As you might have already guessed, the first step is to install Nova Launcher on your smartphone. You can download it from Play Store. If you want to download APK file, it is available on APK Mirror. The app is free to use, but to use it to its full capability, you will have to buy the paid version. Don’t worry, we will only discuss the free version here. Step 2. 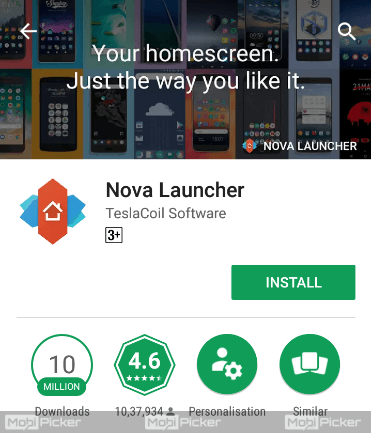 Launch the Nova Launcher app. Here you might be asked to grant some permissions, allow it. And just tap the Next button till the launcher is set up. 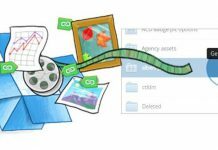 We will start customizing it from the next step, so there is no need to read much in the initial setup. Note: When asked, set Nova Launcher as your default launcher. Step 3. Now, you will see some apps on the home screen. Before beginning the customization process, you will have to clear your home screen. To do this, just tap and hold on each icon, and select Remove. 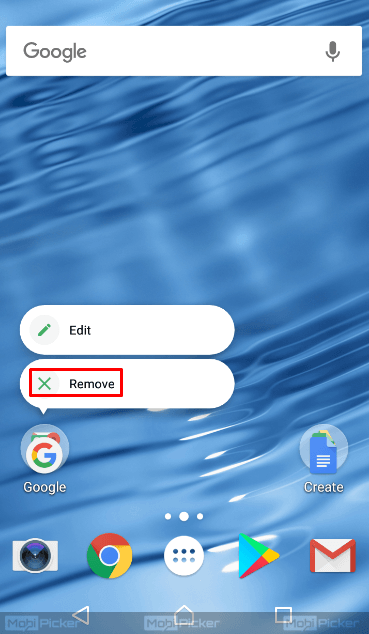 Do this till your home screen is free of any app shortcut. Step 4. We will begin the customization from here. To start, open Nova Settings. Just press and hold on the home screen, and tap on Settings. Step 5. Pixel 2 Launcher has swipe up to open app drawer gesture. 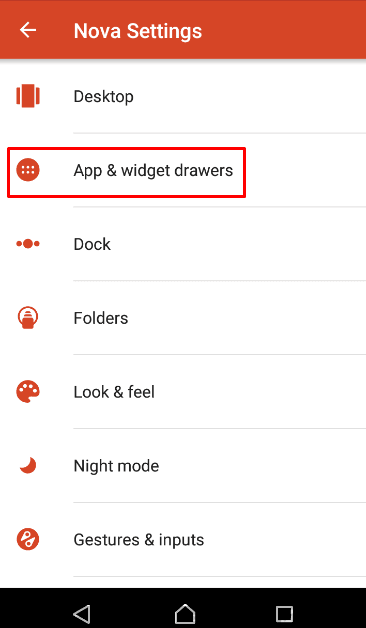 To get that on your phone, go to App & Widget Drawers on Settings. Step 6. 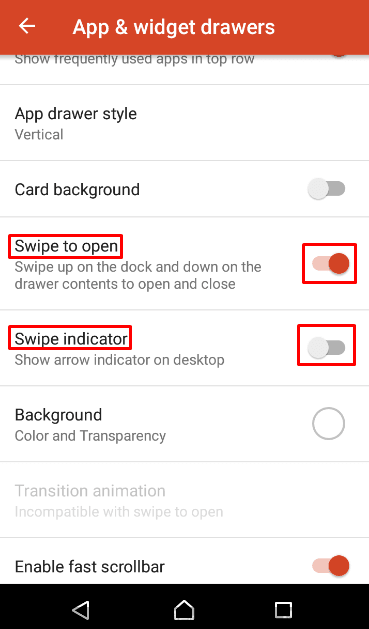 Here, find Swipe to open and enable it. And just below it, you will see Swipe Indicator. Disable it. Step 7. There are no labels on Pixel 2’s home screen. So we have to remove the labels from your launcher as well. 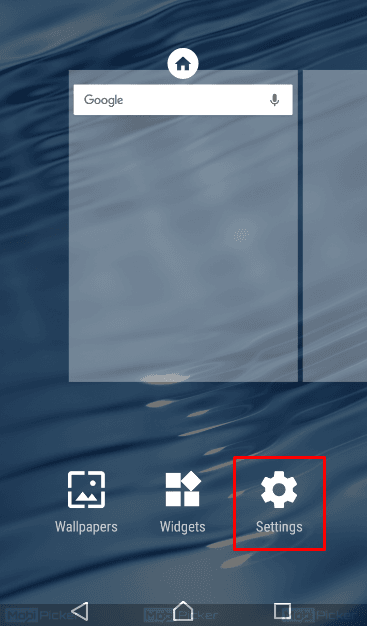 To do this, get back to the main menu of Settings and select Desktop. Step 8. Tap Icon Layout. Step 9. Here you have to disable the Label. Tap on it to do so. The icons on the home screen will not have labels from now. Step 10. Stay on Desktop settings. We have some more changes to make here. 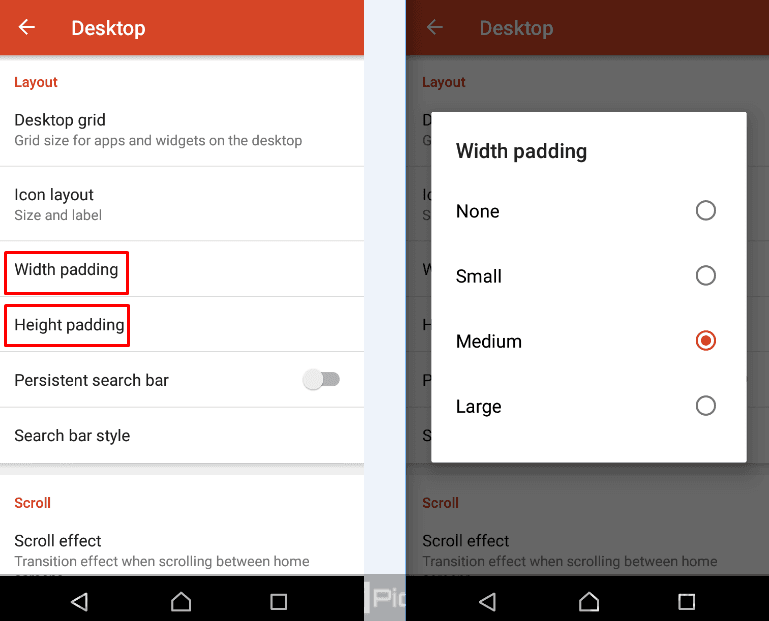 Look for Width Padding and Height Padding. Tap on them one by one and select Medium for each. 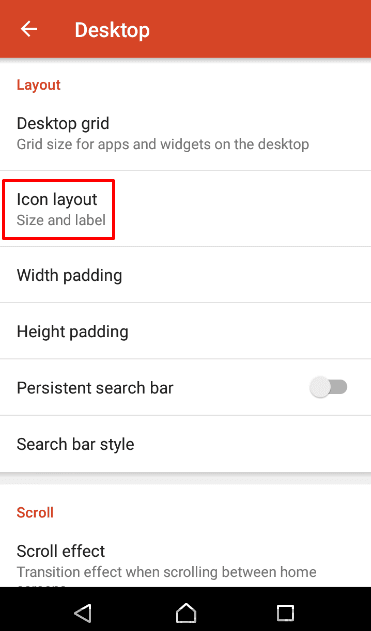 This step will ensure that the widgets and icons on your home screen align correctly and look very similar to that of Pixel 2. Step 11. 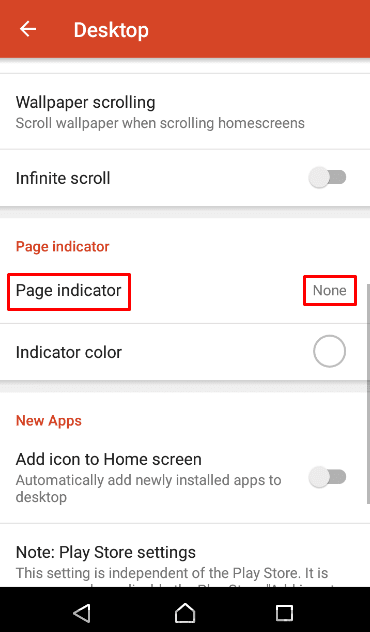 On Desktop settings, find Page Indicator. Tap on it and select None. Step 12. Now, let’s get back to the main menu of Settings and select Dock. Step 13. Tap on Dock Background and set the Transparency to 100 %. 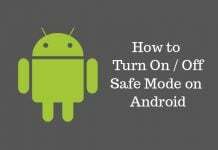 After setting it, close the settings and go back to your home screen. Step 14. Press and hold on your home screen, and select Widgets. Step 15. 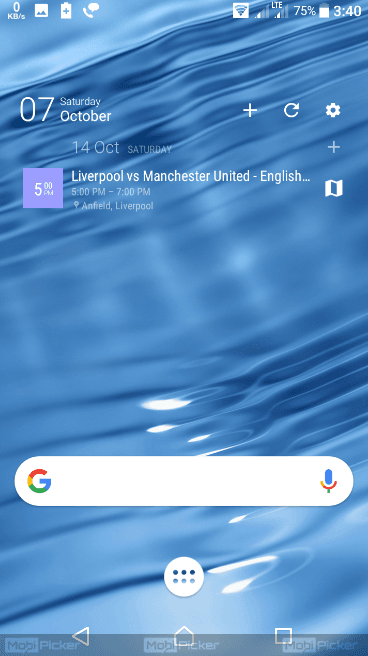 Under Nova Launcher widgets, find the Google’s Quick Search Bar and add it to your home screen. Step 16. 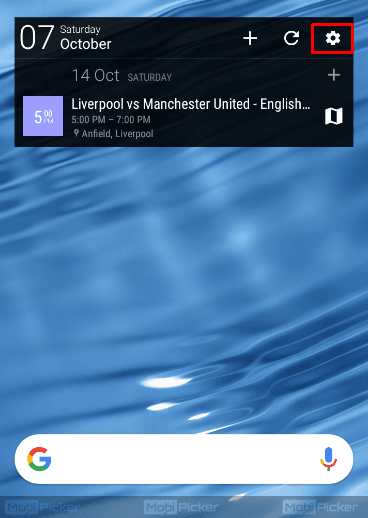 Now, press and hold on the Quick Search Bar widget you just added to your home screen. Select Resize and resize the widget according to your screen width. Step 17. After you are done resizing, once again tap and hold on the Quick Search Bar widget and select Edit. Step 18. 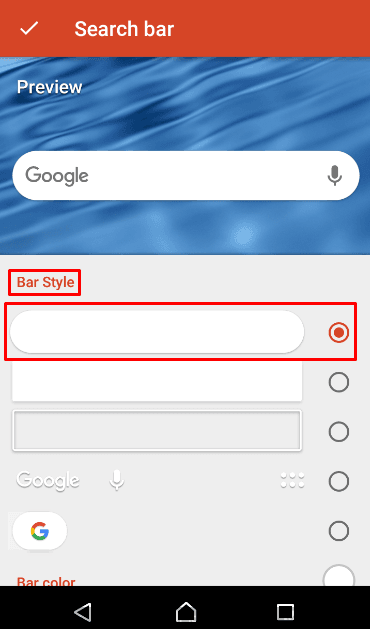 Here, select the first option under Bar Style. Step 19. 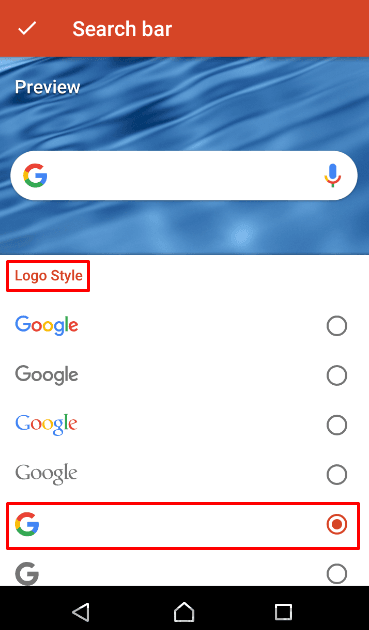 Scroll down and find the Logo Style setting. Select the colored G icon under it. Also, look for “Search as overlay” and enable it by tapping on it. And that’s it, we’re done. Your home screen looks identical to the Pixel 2’s Launcher. Although, there is one more thing that needs to be done to make your home screen look exactly like that of Pixel 2. The Pixel 2 smartphones use “At a glance widget” which shows information from your Calendar. To get that same feature, you will have to install another application. This is an optional step, so if you don’t want to use this feature, you can skip. 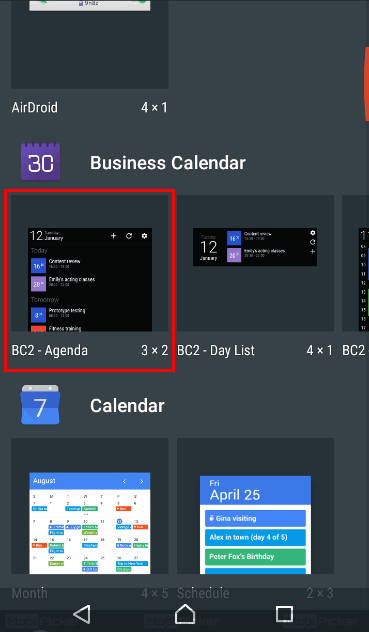 To get the At a Glance widget on your Android device, you will have to install the Business Calendar 2. You can download it from Play Store. 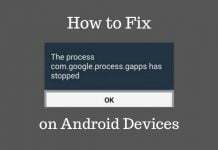 Install it and follow these steps to set it up. Step 1. Launch the Business Calendar 2 application and go through the initial setup process by tapping on the Next or > icon. It might ask you for some permissions as well, grant them. Step 2. After you are done with the first step, get back to your home screen. Here, tap and hold on your home screen, and go to Widgets. Step 3. 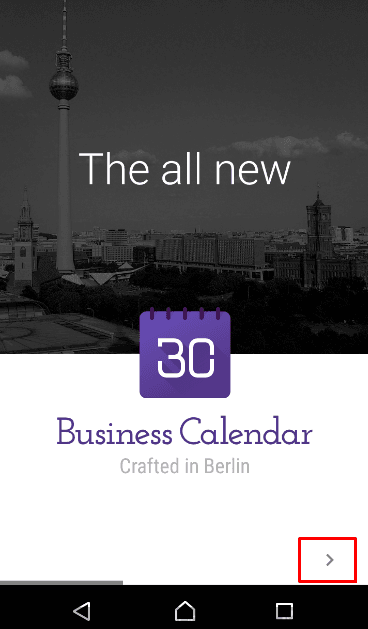 Look for the Business Calendar 2. Under it, add the first widget to your home screen. Step 4. Now, tap and hold on the widget you just added to your home screen. 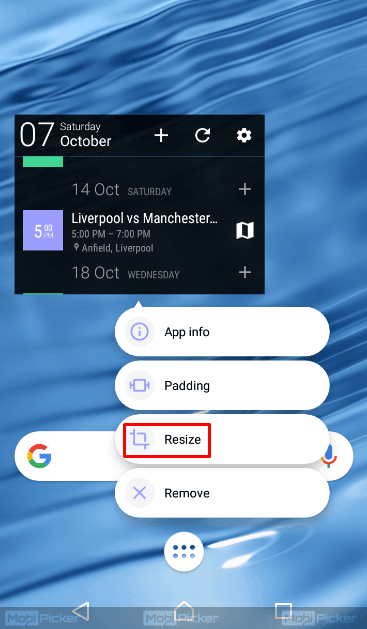 Select Resize and resize the widget according to your screen’s width. Step 5. After resizing the widget, tap on the gear icon. It will be situated on the top right corner of the widget. Step 6. 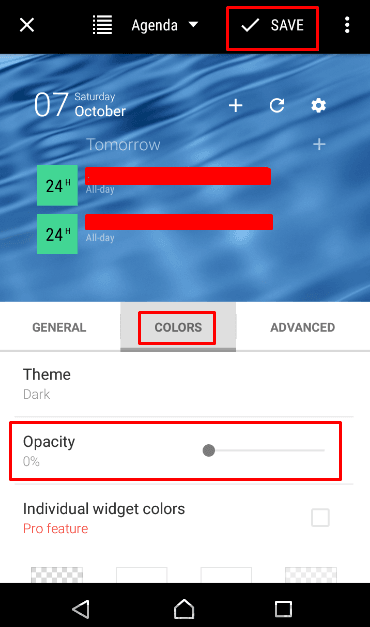 Now here, tap the Colors tab and set it’s opacity to 0 %. After doing so, tap on the Save button located on the top right. This widget doesn’t exactly look like the one we see on Pixel 2, but it is pretty much the same and functions exactly like it. Pixel 2 devices from Google are wonderful smartphones and they are all about the user interface experience. 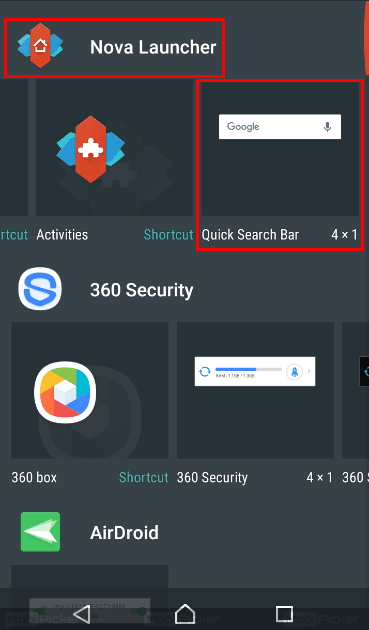 We have provided you the steps to get Pixel 2 Launcher on any Android device, which is not exactly the way it looks on Pixel 2, but is very identical to it. One of the reasons to that is Pixel devices are running on the latest Android Oreo, which not only brings up a lot of functionalities, but it is also faster than Android Nougat. We hope we were able to help you setup the Pixel 2 Launcher on your Android smartphone. 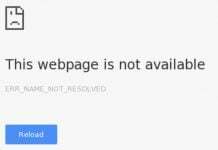 If you have any difficulties setting it up, please comment below.